Now to be sure, even if the claim were true, it still wouldn’t follow that coercive redistribution of wealth was morally justified. However, as happens so often in political controversies, libertarians don’t have to choose between property rights and preventing widespread suffering. 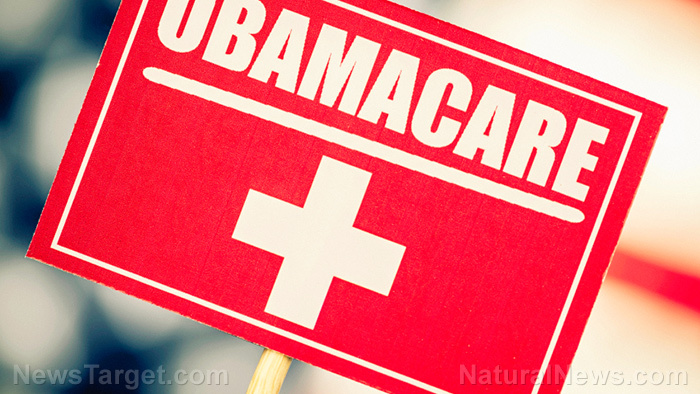 Believe it or not, the data suggest that if anything, ObamaCare actually caused more Americans to die. None of what I write in this piece should be construed as an endorsement of the GOP bills. But the claim that they would “kill lots of people” is not valid. #1. The various estimates of the alleged lives saved under ObamaCare were not based on actual mortality data. Rather, these pro-ObamaCare studies relied on previous episodes (such as the implementation of “RomneyCare” in Massachusetts) where the expansion of insurance coverage went hand-in-hand with improved health outcomes. Then, taking this correlation as a “fact,” the pro-ObamaCare researchers multiplied by the expansion of insurance under ObamaCare and came up with an estimate of how many Americans’ lives were saved. Yet as Cass points out, this procedure is flawed. What the literature actually shows is that expansion of privatehealth insurance coverage contributes to improved health outcomes. But under ObamaCare, the amount of private coverage went down relative to what we would have expected in the absence of the legislation. What really drove the increase in insurance coverage under ObamaCare was the expansion of Medicaid. And here, it is much less obvious that this is a boon for health outcomes, as the now infamous Oregon experiment shows. #2. Now that we’ve undercut the foundations of the pro-ObamaCare figures, we can turn to the actual mortality data from the U.S. After all, as Cass says, if ObamaCare really has been avoiding tens of thousands of deaths per year, we should see that in the data. As the figure shows, if we control for the aging of the population, the mortality rate tends to fall over time. However, for whatever reason, after falling in 2014, the mortality jumped back up in 2015, erasing all the gains since 2013. #3. But now we come to the third and most devastating component of the Cass study. He is intellectually honest and concedes that the uptick in mortality in 2015 could be a fluke, or it could be a genuine problem due to something other than ObamaCare. For example, there is a festering opioid epidemic in many parts of the US, so perhaps it was just bad luck (for Obama’s legacy) that this public health crisis happened to hit right when his signature legislature fully kicked in. Yet Cass points out that we still have a pretty good control group to assess the specific impact of the Affordable Care Act’s boost to coverage. Specifically, only 31 states (plus DC) expanded Medicaid under the ACA, while the other 19 states rejected the offer. So if it’s true that the ACA really did “save lives” relative to what otherwise would have happened, but that the absolute mortality rate in the US went up because of some external problem (like the opioid crisis), then we should still expect see mortality rates jumping more in the “red” states that rejected Medicaid expansion. And yet, as Cass points out in his study, we see the exact opposite. Namely, the states that took advantage of ObamaCare’s Medicaid expansion saw a worse impact on their mortality rates than the states that rejected the expansion. Although I personally do not yet have a theory on the specific mechanism that may be responsible, I amconfident in saying that the actual data do not support the breathless claims that rolling back ObamaCare will literally kill many thousands of Americans. Fans of the Austrian school should not be shocked, though, to discover that having the federal government get more heavily involved in the health sector has apparently made things worse.